Based on the Amazon Prime Video original series that was inspired by the classic bestselling picture book series! 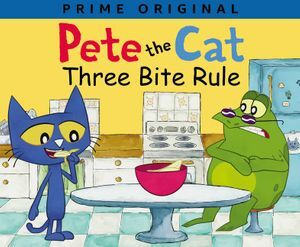 Pete the Cat is whipping up a delicious dish for his class’s potluck. Pete can’t wait to share his banana casserole with his classmates. It’s his favorite lunch! This brand-new Pete the Cat picture book retells groovy moments from the show and includes a coloring poster!